Cheats for Wordbrain Holiday Challenge December 9 2018 Answers – Holiday Challenge is here ! Our holiday celebration has begun, so join the festivities by collecting gifts! the more gifts you collect the bigger your reward will be on december 25th. 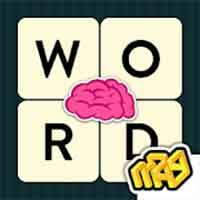 Guess the specific words to find on word brain christmas challenge 12-9-2018 from the grid puzzle with 5 size : 3×3, 4×4, 5×5, 6×6, 7×7 ! Make sure you swipe the words in correct order, or you won’t be finished the puzzle word ! Everytime you collect 10 gifts, you will get 5 free hints. New puzzles daily! You need to find specific words hidden in the puzzle. You can see how long each correct word is in the boxes below the puzzle. Continue to the next daily puzzle for tomorrow wordbrain holiday challenge december 10 2018 !